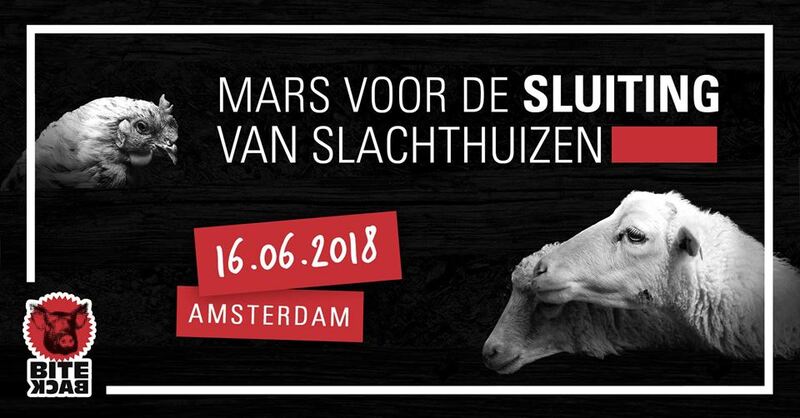 In Amsterdam, the March will take place for the first time on SATURDAY JUNE 16th, 13.00 hours at the Dam, Amsterdam. We will hold a peaceful march to demand the closure of all slaughterhouses and to end the violence that we inflict on non-human animals. It is time now to demand, loud and clear, the end of animal slavery and the abolition of all practices that cause them the most harm: breeding, fishing and slaughter. So we hope to see you all in Amsterdam on SATURDAY 16th of JUNE. The march is organized by Bite Back.